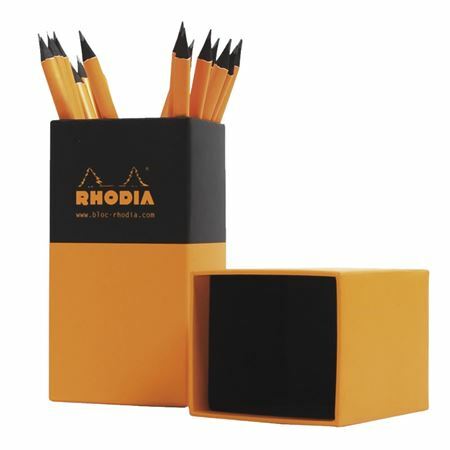 Order your Rhodia Pencils - 25 Pack today from FahrneysPens.com. Fine Pens, Refills & Luxurious Gifts – great prices & fast shipping. The perfect pencil to complement your Rhodia notebooks and pads! Made of black linden wood and lacquered in Rhodia orange with a black eraser, the triangular pencils fit comfortably between your fingers and contains HB grade lead. Set of 25.